Same Beer, Same Beat, Same number, same old same old. A dark brown color, with a balanced aroma of roasted malts and Northwest-grown hops. The sweetness of the ale, crystal, and chocolate malts blend beautifully with the assertive flavors of Cascade and Mt. Hood hops. Another Pelican beer. It’s sometimes like that. This one is the Pelican Dorymans Dark Ale, which I want and picked up after I brought the Kiwanda, because I read that it might be worth it. A 650ml bottle, which is 5.8% ABV and 174 calories a serve, this is 43 IBU things and 3.2 standard drink units therein. Our American Brown Ale has a dark brown color, with a balanced aroma of roasted malts and Northwest-grown hops. The sweetness of the ale and crystal malts blend beautifully with the assertive flavors of Cascade and Mt. Hood hops. A brew to be savored. I have music, cheese and crackers and a beer. What could go wrong? This beer originated as a prize-winning homebrew many years ago. When Darron, the Head Brewer, began designing the beers for the Pelican Pub and Brewery, he adapted his old 5 gallon homebrew recipe to his new 15 bbl (465 gallon) brewery. It was well worth the effort, for not only has the Doryman’s Dark Ale been a perennial favorite here at the Pelican Pub, but it has garnered prestigious professional awards. What indeed could go wrong? Deep aroma, almost cocoa or chocolate like. Could be interesting, I could be totally wrong though. Almost red pour with a nice finger of off white head to match, aroma remains rich and fruity. I really am not sure I’m doing this right. Wow that’s bursting with rich roasted malts, what a cracker! Hops too, this is a full experience beer. Leaves a lacing on the glass too as you drink. 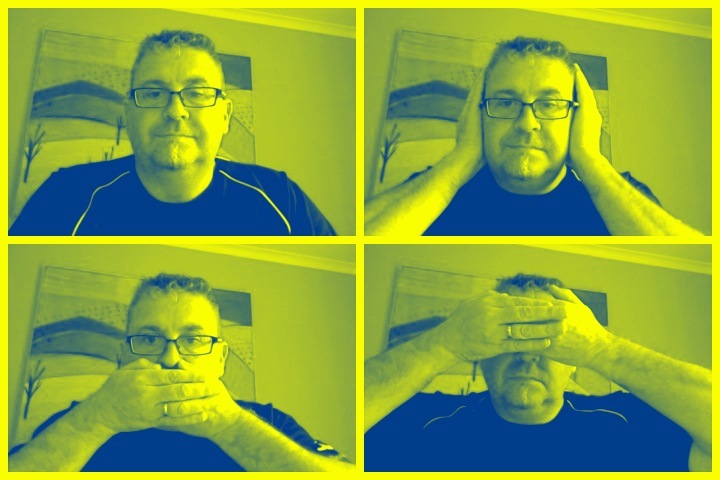 Engage waxing lyrical mode….. It is bitterer than you might expect, but there is a lovely middle of malty warmth, and then the slightly bitter finish and linger. Nicely carbonated too, not too little not too much. I can see why this is a pub favourite, it’s very accessible and engaging. I stopped to take stock at the half-way stage, but couldn’t help myself and dived on in again. Turns out the bottle is right at the edge of its “Enjoy by” date, which is something of a pleasant thought as if this has peaked then the fresh as version must be a veritable explosion. I wonder if the top end roughness/bitterness is muted more in the fresher version. Not a complaint just a musing on thing I have no idea about, like many things. I enjoyed my over-ripe French Brie and the crackers and the pickles whilst I drank, the music choice though left something to be desired, whilst not awful it wasn’t a foot tapper. The pdubyah-o-meter rates this as 9 a of its things from the thing. Sometimes I have to go with the grain and agree that despite my cynical nature that sometimes it’s true, the fans are right for the right reasons, and this is one of those times. Am I enjoying it? It’s nectar, well not quite it’s a crackingy good beer though. Would I have another? Yes, I’d order another before I finished the first. Would I share with a friend on a porch and set the world to rights? This would win you friends and influence people, and would make a great beer to have with your BBQ or finger foods, it’s just nice to have around. I don’t know that it’s going on high rotate, it’s bubblegum pop mostly, pleasant enough for the background, and different and more acceptable to Mrs and Miss Dubyah. I was out in Oregon about two weeks back and had time to stop in for a quick visit to Pelican. I didn’t get a Doryman’s Dark Ale but it sounds like I should have. The location of the pub is just stunning though. It’s interesting to see that they make it all the way down to the Southern Hemisphere. I know right, we get a surprising amount of beers here form a wide range of brewers, the Dorymans was was nice, I really would like to try a fresher one. 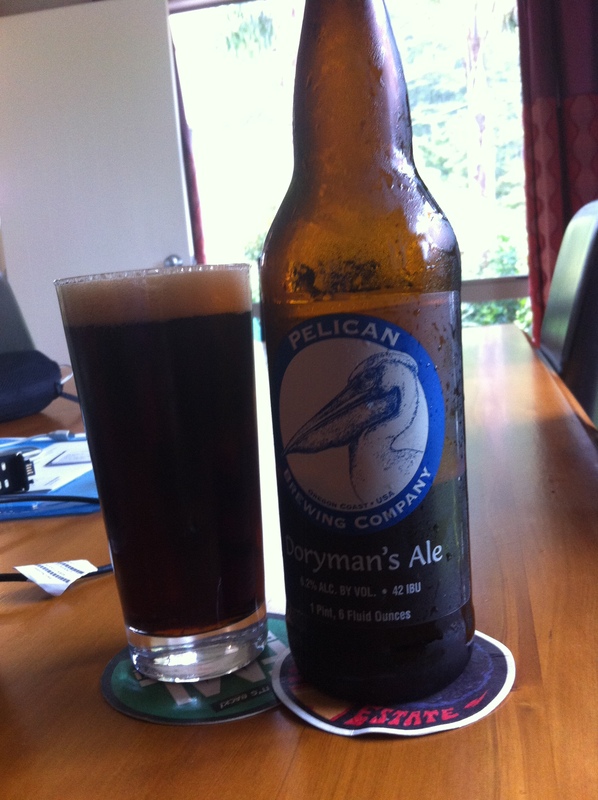 This entry was posted on October 18, 2014 by Philip Walter in Beer, Beer of the USA, Beer Review, Brown Ale, Craft Beer, Critic, Pelican and tagged Alcohol by volume, Beer, Brown Ale, craft beer, Dorymans Dark Ale, India Pale Ale, Pacific City Oregon, Pelican Dorymans Dark Ale, Pelican Pub & Brewery.